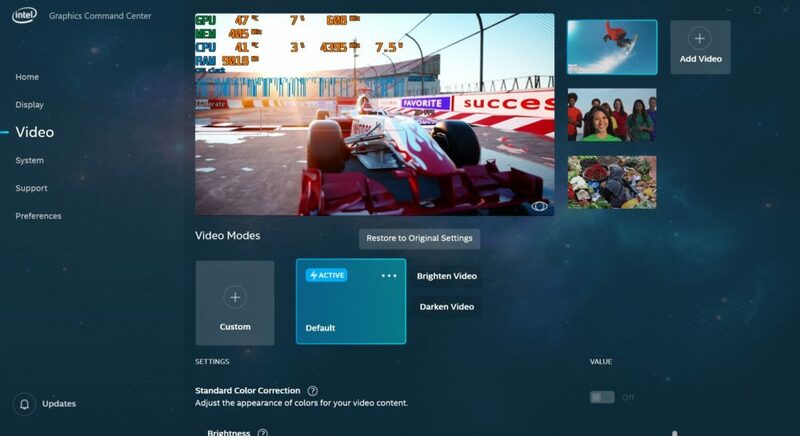 Intel has announced an early-access program for their new Graphics Command Center application. 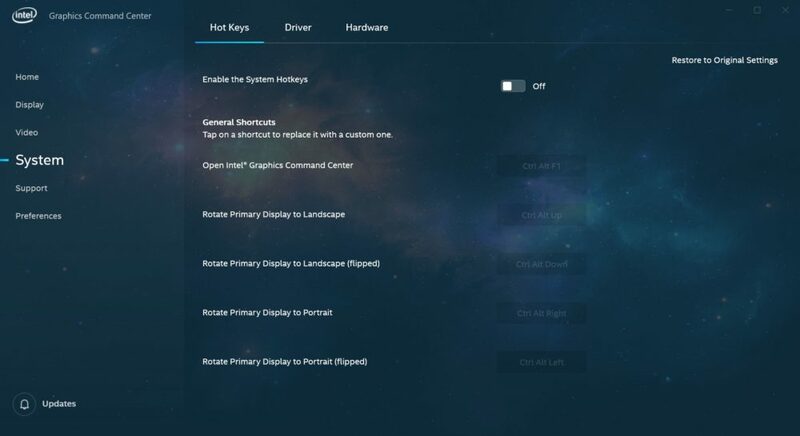 The control panel for Intel’s integrated and upcoming discrete graphics has received a fresh modern look. 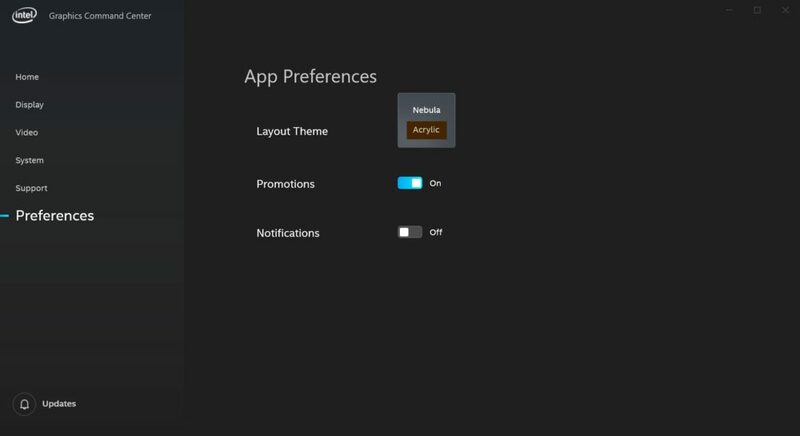 A simplified approach is certainly a going to appease casual users, but it may look slightly underwhelming for enthusiasts. It is, however, the first step. 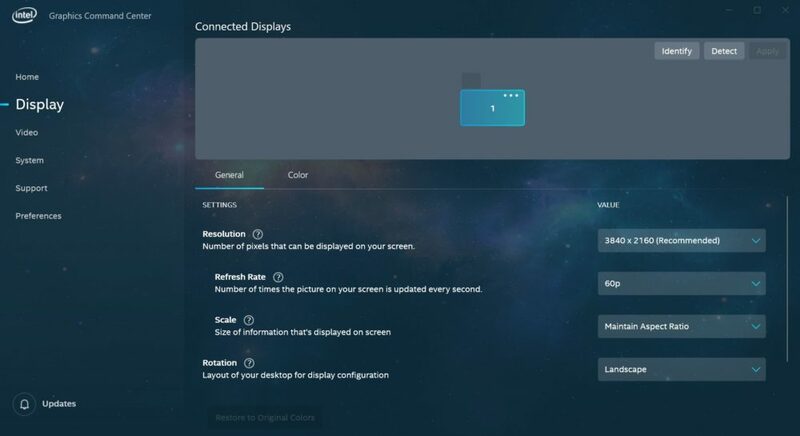 More features will be added as we get closer to 2020 Intel Xe discrete graphics launch. You can download the new app through Microsoft Store here. We asked, you answered. You’re tired of our ‘old, boring, corporate-looking’ Graphics Control Panel. We were too and we designed a completely new one from the ground up! We’re incorporating the changes you – the gamers, home theater enthusiasts, professionals, and everyday tinkerers requested. Using a phased approach, we’re rolling out something we’re proud to share with you: introducing the Intel® Graphics Command Center. You told us how confusing ‘tongue twister’ features like tessellation and anisotropic filtering can be to understand, so we created a robust help option tailored to simplifying it all. Take all the guess work out of game and media tuning with visual guidance on what each feature does, and how it impacts your experience. We’re really just getting started. We’ll be introducing many more features and functions in later phases and will keep the improvements coming, to give you the best possible experience we can. Please check it out and remember to let us know what you think. 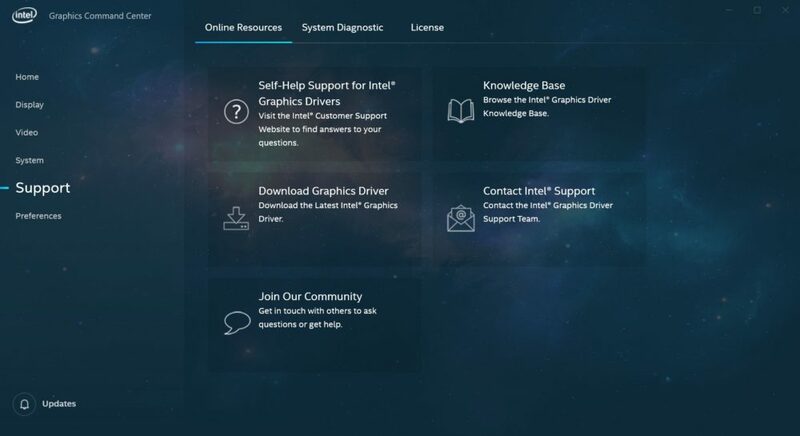 We recommend updating your Intel graphics driver to the latest version, which you can get Intel’s website. You can message us on Twitter at @intelgraphics.